Is the 1,000 Ship Navy Workable? 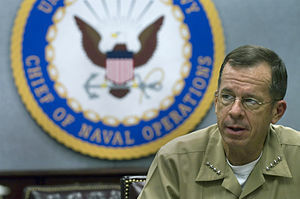 In what can only count as a major step forward in Pentagon thinking, former Chief of Naval Operations Admiral Mike Mullen put forth the idea of a 1,000 ship navy made up not of a U.S. navy trebled in size, but of the U.S. navy as a part of an operationally-linked multi-national and multi-agency force. Instead of seeing the U.S. as naval hegemon, the navy’s command saw it instead as the vanguard of a global naval force capable of sustained, integrated operations. Leaving aside the politics, which are considerable, there are technical and operational challenges that should be no news to anyone familiar with the history of NATO, the Southeast Asia Treaty Organization (SEATO), and any of a dozen or more multinational naval forces in the past three decades. As much a blueprint as a reality check, the National Research Council’s Maritime Security Partnerships is an essential read in understanding the scope of options available to the world’s navies in countering anything from a major disaster to, say, the emergence of an aggressive navy from one or more BRIC countries.